Carrying a forex cards during an international trip is definitely a smart choice; however, nothing beats the flexibility that hard currency notes offer. Cash comes in handy for smaller transactions like paying a cabbie or a street store, or a vendor that does not accept cards. Moreover, it is advised to carry some forex currency notes, in case of an emergency. 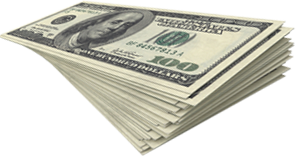 If you are looking to buy foreign currency notes along with forex cards, then you have landed at the right place. Thomas Cook offers the best deals on < a href="https://www.thomascook.in/flights">flight bookings, hotel reservations, and foreign exchange. Not only do we facilitate the conversion of Indian currency to forex cards, but also offer authentic currency notes of 26 currencies of the world. We are known for our best-in-market forex rates. This, coupled with our years of expertise and seamless consumer experience, makes us a proven choice for travelers across the globe. As Indian travelers we are more familiar with cash than digital payments, isn’t it? Thus, Thomas Cook allows you to book your desired denominations of foreign exchange, enabling greater control and visibility over your international spends. So, whether you want to carry hard cash for your last minute spends or to pay the local cab drivers, we are here to assist you. To buy currency notes online, you can simply log on to the Thomas Cook website, enter your details, and avail the desired foreign exchange in cash. Alternatively, you could even visit the nearest Thomas Cook branch and our experts will help you buy currency notes instantly. That’s not all; you can also try our online currency converter to find the latest exchange rate and the best time to buy forex currency notes. If you are worried that you will be back from your international trip with some unused foreign exchange, then we have a solution for that too. You can sell your foreign currency notes at Thomas Cook. Click here for further details. We have been serving our clients for the past 170 years and are committed to ensuring a hassle-free traveling experience. For all your travel requirements, including sending money abroad or inward remittance, you can rely on Thomas Cook and we will make sure that you have a memorable trip. Still have queries? Speak to our foreign currency expert today. What is the most amount of foreign currency I’m allowed to carry abroad as cash? When you are travelling abroad, you can carry your forex as cash. But there’s a limit to the amount can carry in cash, which varies with your travel destination. Is carrying foreign currency in cash better than prepaid forex cards? It is always good to have cash on you while travelling. But travelling with a large amount of cash is not safe. A prepaid forex card allows you the flexibility of cashless payments at 31.4 MasterCard merchant establishments and allows you to withdraw cash from around 1.9 million MasterCard ATMs across the world. That said, you should carry at least 20% of your foreign exchange as cash for use in contingencies. How can I be sure that the foreign currency notes that I’m getting in exchange are genuine? Thomas Cook has been serving customers for over 170 years. We have built up a reputation as one of the most reliable foreign currency providers. We also have the required expertise in identifying genuine currency notes. You can rest assured that the currency notes being provided to you are genuine and safe to use around the world. Do I get better exchange rates different when I buy forex in cash? No. Regardless of how you buy your foreign exchange, you will get the same exchange rate that is prevalent on that day. Thomas Cook recommends that you buy your forex in a prepaid forex card which is accepted at 31.4 million merchant establishments and 1.9 million ATMs abroad. Can I retain the cash forex upon my return home? Yes, you can retain forex up to $2,000 in cash, travellers cheques or prepaid forex cards. You must surrender any forex above that. While we recommend that you surrender your cash or travellers cheques, you can retain the balance in your prepaid forex card, which you can reuse during your next trip abroad. Can I sell my foreign currency in cash to anyone else who needs it? Foreign currency is highly regulated in India. So, it is best to sell your currency through authorized entities like Thomas Cook. You can sell your foreign currency, which is left over from your foreign trip, through our website, app or at your nearest Thomas Cook branch.